Make a special gift or memorial! Give to one of SsAM’s ministries! There are many ways to show your support for the life and ministries of The Episcopal Church of Saints Andrew and Matthew. Click here to use our on-line pledge form. The Episcopal Church of Saints Andrew and Matthew depends upon annual pledges to support the many programs and outreach ministries of the parish. Annual pledges are particularly important in that they not only demonstrate the support and confidence of our members, but pledges allow the church leadership to develop a strategy for moving toward our vision and mission. Based on the pledges made in November and December, the Vestry creates a budget for its income and expenses for the following year. Click the button below to make a one-time donation or to set up a donation that repeats weekly or monthly. To learn more, contact the church office at 302 656-6628. Occasionally, there are situations where individuals are in a position to make one time gifts to SsAM. Giving a special gift in honor, or in memory of a love one is an excellent way to give strategic and lasting support to a specific area of ministry within the parish. 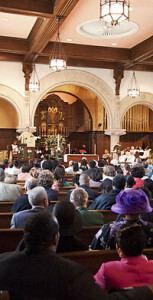 Many capital improvements are made possible by these kinds of gifts such as the purchasing of a new hymnals, liturgical vessels and vestments, a new carillon or chimes, sacred art, and new stops on the church’s organ. Gifts can also be applied to special programs such as concert series, educational programs, and community outreach programs such as Friendship House. To discuss the possibility of giving a special gift, please contact the Rector or Parish Administrator through the church office at (302) 656-6628. Remember SsAM in your will. Make contributions automatically from your bank account or from your credit card. Your bank account or credit card can be set up to support SsAM with a single transaction or a regular periodic debit. Please contact the church office at (302) 656-6628 for details of automatic debits. If you make cash contributions to SsAM and want to deduct those donations on your income tax, please put your donation in an envelope on which is written your name and address. Pledge envelopes can serve this purpose if you write your name and address on them. This way, SsAM can send you a contribution statement at year’s end, a statement the IRS now requires if you want to deduct cash contributions. 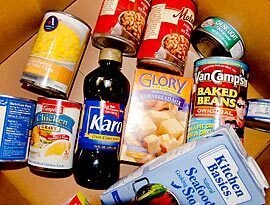 We continue to collect food every Sunday morning for neighboring food banks. Receptacles are located in the front pews of the sanctuary. Canned goods, dry goods, etc. are welcome; anything that is not perishable. Every 1st and 3rd Sundays the ushers pass baskets for a second collection, and we mention that this is an “AIM Sunday,” but perhaps not everyone knows what this means. This collection goes into a separate fund administered by the Community Advocacy Committee and provides funds for a number of needs. Often, the Rector’s Discretionary Fund calls upon the AIM Fund to help both parish members and individuals in the community with special and urgent financial problems. It has also provided funds in response to appeals from missionaries, from the People’s Settlement House to enable them to hold holiday dinners and from Limen House which provides transitional housing for those recovering from addiction. Much good work of mercy is done by this fund and you are encouraged to give generously. Make a United Way of Delaware donation using code 11593. 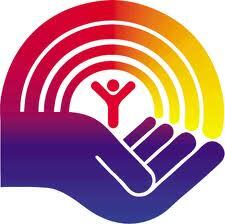 SsAM is now a United Way of Delaware Designation Write-in Agency. Donors wishing to designate their contributions to SsAM should “write-in” our name and full address, or use our code number 11593 on their United Way of Delaware Pledge Form in the Specific Care area. Please consider ear-marking your United Way of Delaware contributions to work for Saints Andrew and Matthew by selecting SsAM as your designated write-in agency. If you have questions, or would like more information, please contact the office. Each Spring and Fall we collect funds for the United Thank Offering to further the work of the Episcopal Church. The mission of the UTO is to “expand the circle of thankful people”.